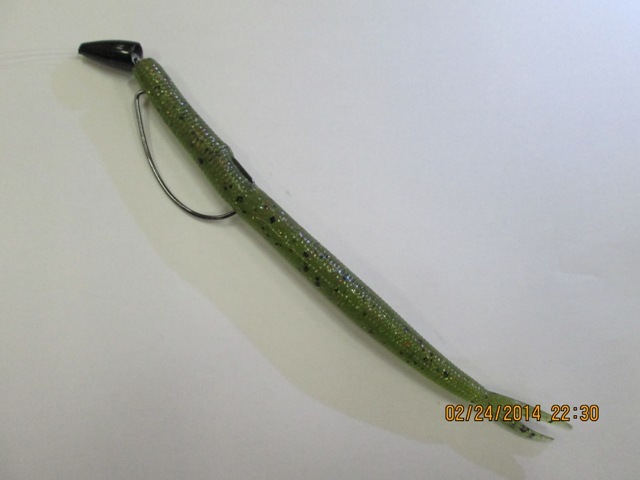 One of the most popular ways to fish soft plastics is by Texas rigging them. This rigging method works exceptionally well and can be fished at practically any depth and at any time of the year. 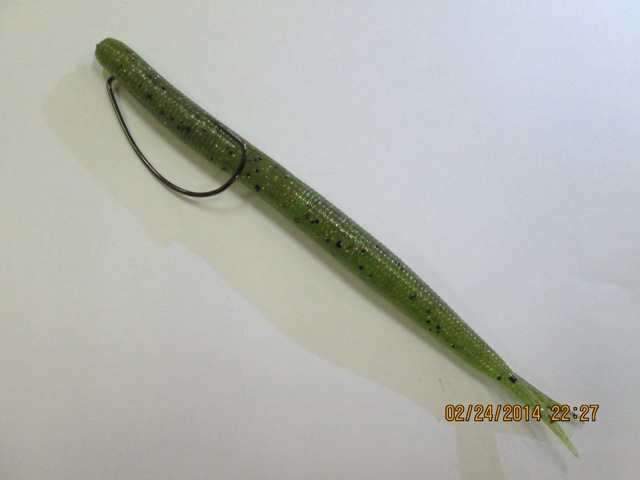 It is a very simple rig to setup and consist of a bullet weight, worm hook, and a plastic worm or any other soft plastic bait. Use various weight bullet weights to target different depths. Also, try using tungsten weights they are smaller than lead and harder than lead. (Left) Gamakatsu 4/0 extra wide gap worm hook. 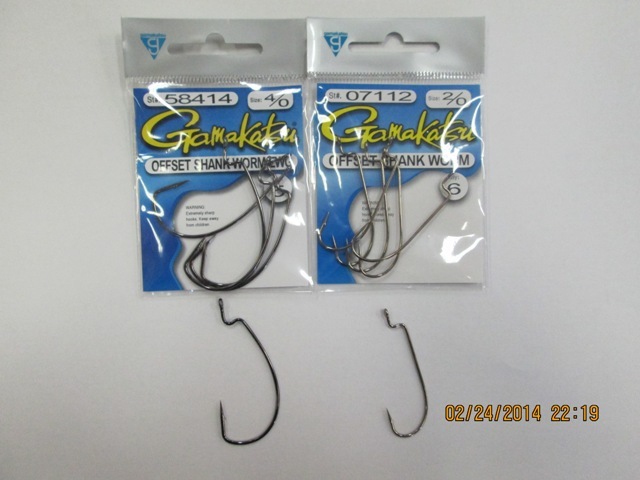 (Right) Gamakatsu 2/0 offset shank worm hook. Choosing the right hook is very important. For smaller thin style worm try using and round bend offset hook and for larger, bulkier worms try using an extra wide gap (EWG) hook. Step 1: Place the hook approximately 1/4-1/2″ through the top of the bait. 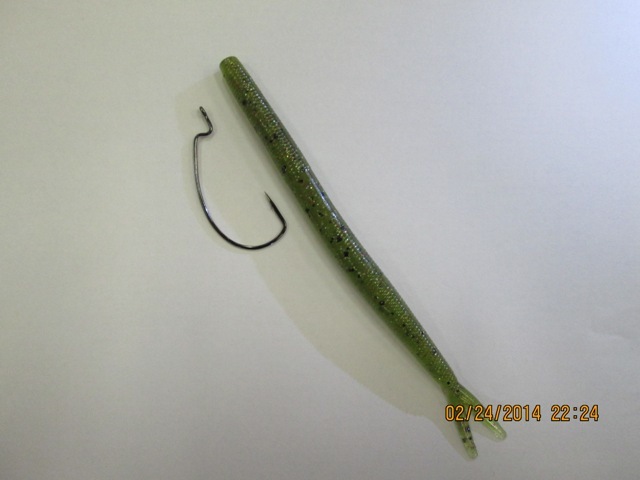 Start the hook point in the center to prevent the bait from rolling and creating line twist. 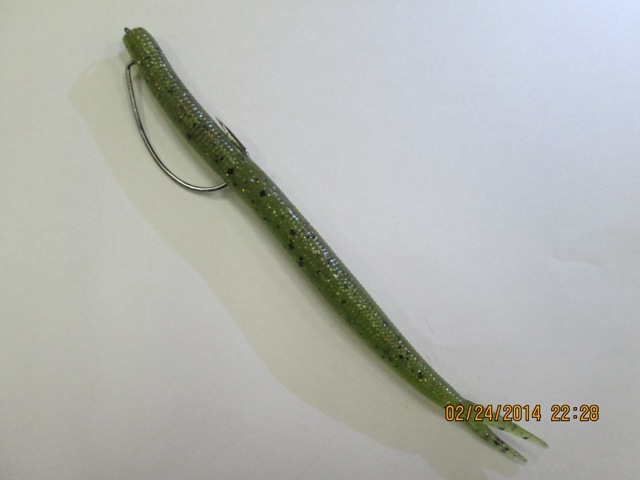 Step 2: Slide the bait toward the eye of the hook and give the bait a half turn onto the offset portion of the hook. 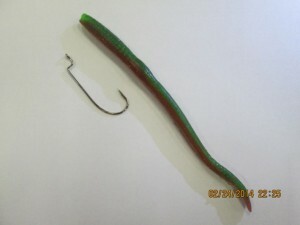 Step 3: Run the hook point back through the middle of the bait. Once again make sure the hook is centered and the bait is straight to prevent line twist. Texas rigged Zoom Fluke Stick color watermelon red magic. 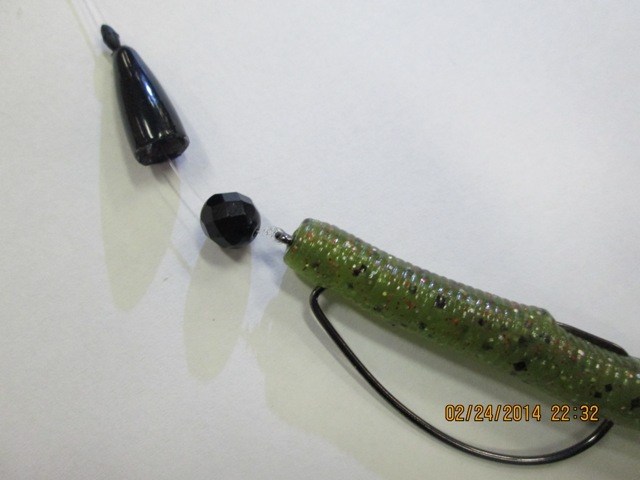 Try adding a bobber stop and a bead to create a ticking sound to attract fish from a distance. To choose a worm or soft plastic try fishing with sizes and colors that best resemble the natural forage, crawdads, shad, bluegill, nightcrawlers, and trout. It is good to mix and match your presentation throughout the day and experiment with new baits and colors. Good luck and remember to practice catch and release.